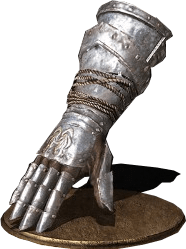 Cathedral Knight Gauntlets is a Gauntlet Piece in Dark Souls 3. It is part of the Cathedral Knight Set. 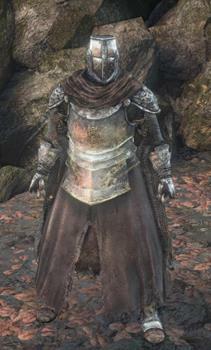 Massive iron gauntlets worn by knights serving the Cathedral of the Deep. Repulsive creatures of the deep are sure to attract the foolish, but the cathedral knights are prepared to meet such intruders head on with their more than ample might. As it can be a fastidious task, I have been able to get them within 20 minutes of farming. I used the Symbol of Avarice, Covetous Gold Serpent Ring +3 and the Rusted Gold Coins, killing repeatedly from the Deacons of the Deep bonfire.